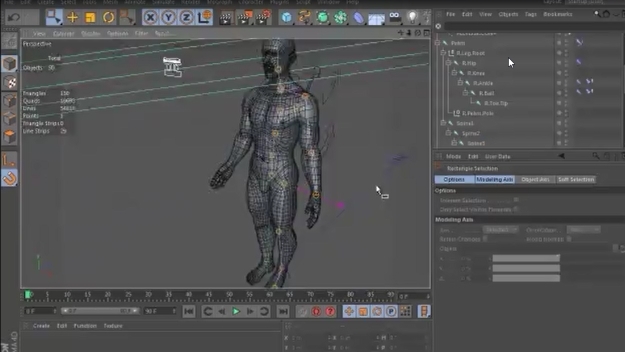 This is a Long tutorial giving the basic parts of rigging a biped within C4D. I go over every part to a basic rig and creating the joints on one half of the skeleton. The second video will go over mirroring the skeleton and binding/weighting the skeleton. I figure almost 3 hours in all. This is simply the first of two videos. I hope this makes everyone realize how to get the rigging job done! For real human 3D scan for your work we recommend visiting 3dscans.sk site.